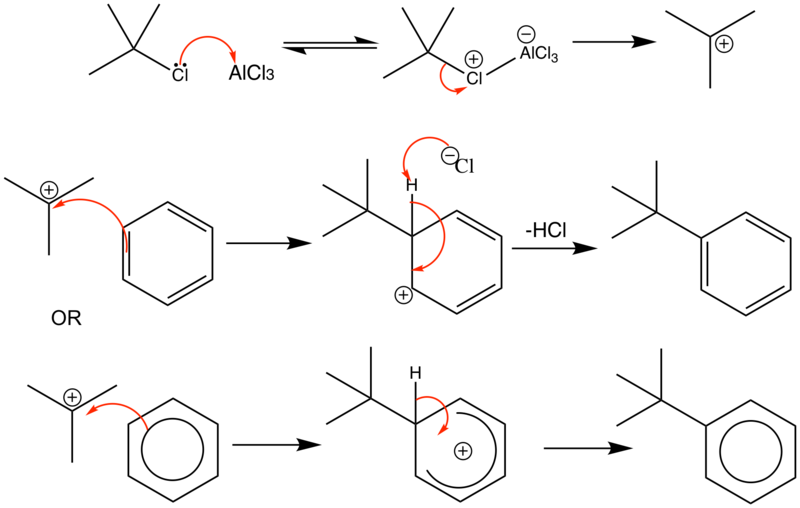 Friedel-Crafts alkylation usually involves treating benzene with a secondary or tertiary alkyl halide, and the Lewis acid AlCl3. In this example, the Lewis acid removes the chloride atom from the t-BuCl, which then releases the t-Bu cation for the alkylation reaction. Chloride then removes the proton from the cationic intermediate restoring the aromaticity. The benzene ring has been alkylated.